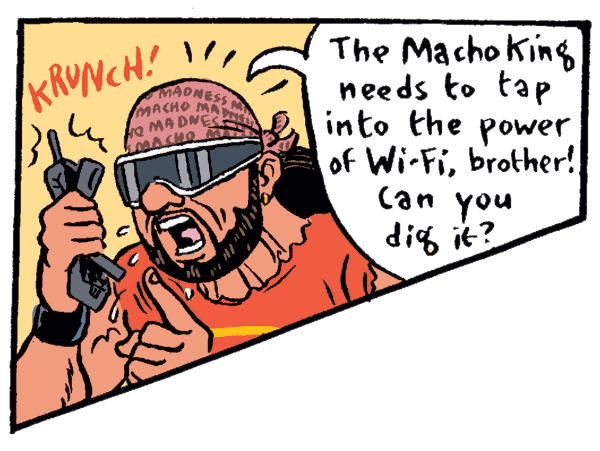 In 2004 I was hired to illustrate this really random comic for a really random tech magazine (whose name I can’t remember) and whose really random protagonist was Macho Man Randy Savage, R.I.P. 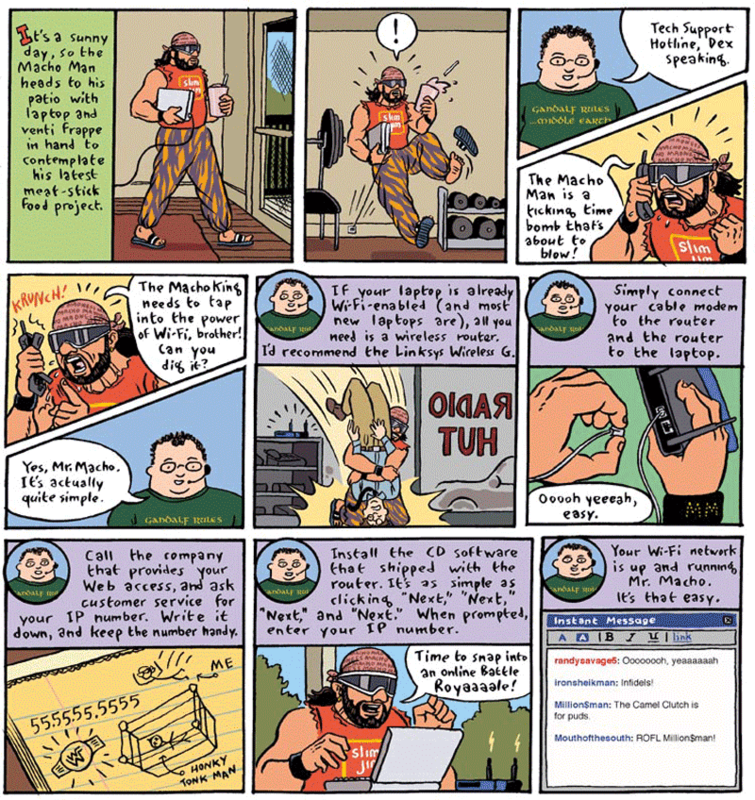 I remember when you did this comic. Went super-smoothly, looked great. You announced: "I think I'm finally a professional cartoonist". Yeah, that's right. It was supposed to be a regular gig too but I never saw the printed magazine or heard from them again. Previously I used to read Marvel comics, Superman and Spiderman rerutama story… Very nice! Seeing your comics work, I'm also interested, the picture is expressive… Interesting, I only recognize less characters!